I have been asked by my lovely and extremely talented Sarah Hurley team colleague to take part in a Creative blog hop. Its very difficult to capture your craft journey in one post but I will give it a try and hope for the best! Ever since I have been blogging I have come from cards and then expanded my crafting into all sorts of new crafts-I now even sew which I thought I would never be able to do! I am very glad to have been brave enough to try new crafts and I really feel my blogging has encouraged me in doing so-its wonderful to be part of a wide supportive network of crafters! I used Papermania a All Aboard tag which I cut from a larger sheet of that paper-I then placed an eyelet and added twine which I burnt at the edges to stop it fraying. I hand wrote my sentiment on this. I used Coredinations card as my mats for the photo and the textured paper underneath. I placed this on Kraft card blank, then added my nautical ribbon from Crafty Ribbons as an embellishment, along with a wooden heart button. Good morning everyone! Hope you are well :-) We are here with our Midway inspiration creations for you-I really hope you'll come join in our challenge here and pop by my design team members blogs to tell them what you think! :-) I start with our Guest Designer: Lisa S. with this gorgeous creation, thank you Lisa, its been lovely to have you join us! 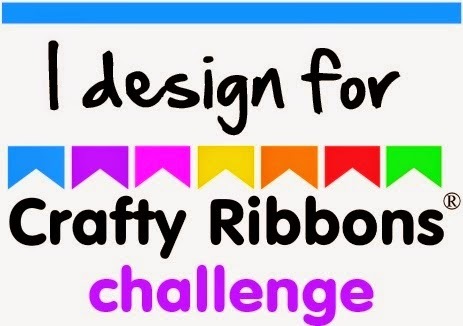 Mrs A I hope you feel inspired from our creations and will join us in our All Crafts Challenge which you can find here!